Dr. Sara Rusch in an undated image. 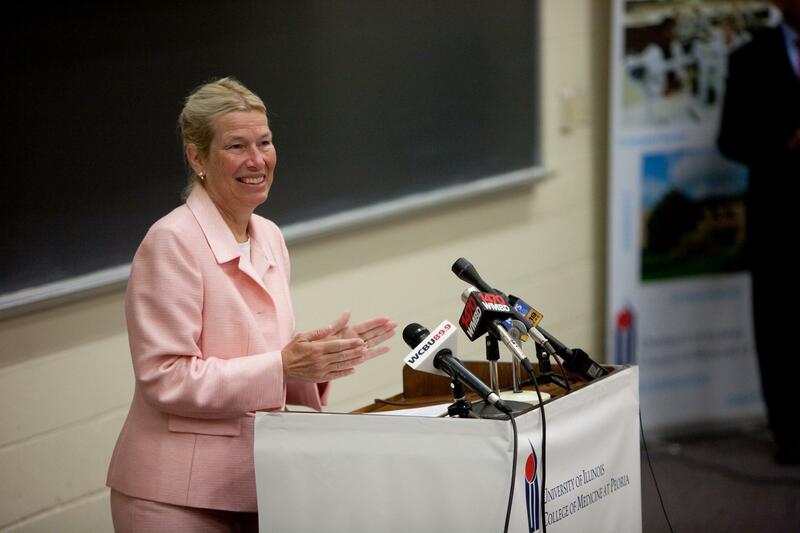 The regional dean for the University of Illinois College of Medicine Peoria is retiring. Dr. Sara Rusch plans to step down from the post she has held for 11 years in May. Rusch was appointed in 2008, and is the first woman to hold the job. She oversaw an expansion of campus buildings and student enrollment. She was also part of the team that created the Jump Simulation Center. Dr. Chuck Ray is the Interim Executive Dean of the University of Illinois College of Medicine. He says the school has benefitted from Dr. Rusch’s passion for medical education. Ray adds the school is working on a transition plan. Dr. Rusch started her Peoria career as an internist in 1978. She says she’s proud of her accomplishments, but she’s looking forward to spending more time with her family.